Find out how powerful Happy Kava Brand Cacao Bean Kava Tincture Blend can be as an aphrodisiac. Instead of targeting specific organs, this tincture stimulates feelings of well-being while energizing us with an endorphin release. Supercharge your love naturally. 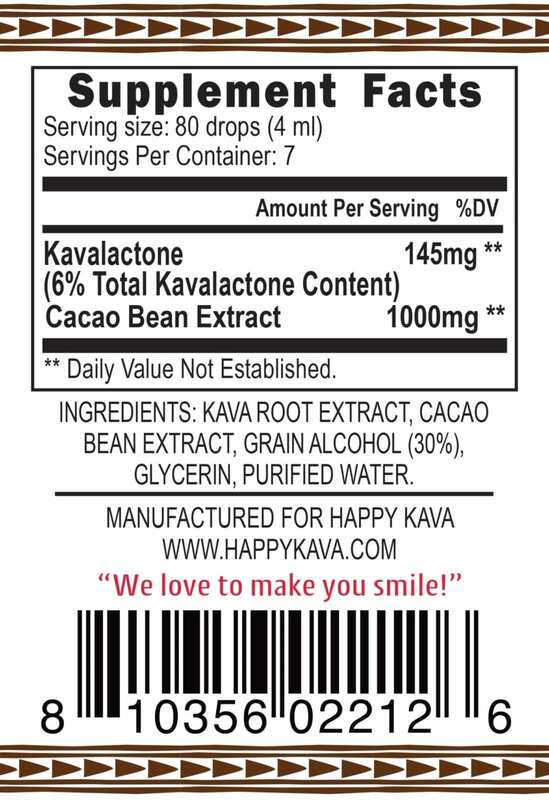 This is the Happy Kava Brand Cacao Bean Kava Tincture Blend. Happy Kava Brand has expertly formulated a line of Kava Tinctures that take the best of organic or wildcrafted herbs. There are a number of herbs that have made it into the mainstream. Even those not super familiar with different herbal products have now probably at least heard of the 12 herbs we have chosen to blend with our Noble Kava Root with the Happy Kavalactone lineup. Kava already relaxes. But what if you want to kick your Kava up a notch, and accentuate the stimulating and sexual wellness qualities of Kava? This is where Cacao Bean comes in. Many herbal blends combine only a few milligrams of each herbal ingredient in their formulations, making it nearly impossible to feel the effects of any of them. Herbs need to be concentrated, and that is exactly what Happy Kava Brand has accomplished with this Cacao Kava Tincture Blend. The cacao isn’t just a flavoring in this sexual wellness superstar. Cacao has been clinically-proven to help stimulate the release of endorphins, which makes the world feel like an even more pleasant place. When it’s combined with Kava, we get a very powerful combination that also helps fulfill our chocolate craving at the same time. We add the equivalent of one teaspoon of ground Cacao bean into every serving of this tincture. We don’t add any other filler herbs that may take away from the core effects we intended this blend to have. 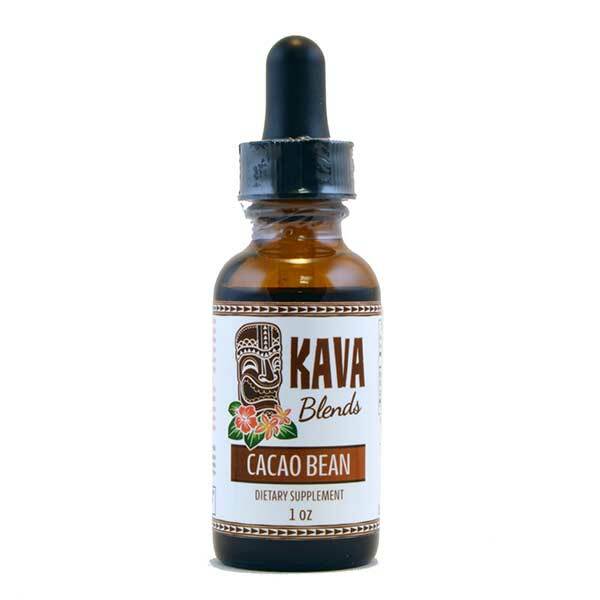 All we have in this award winning Cacao Bean Kava Tincture Blend tincture is pure Noble Kava root with a 2-4-6 or 4-2-6 Kavalactone lineup, and pure Passion Flower extract. Find out how powerful Kava can be for helping stimulate pleasurable feelings of our own sexuality. The Kava relaxes you and eases you into a state of well being that works synergistically with the cacao bean to create a state of body and mind that is conducive to romantic moments. Forget high-priced pills; not all of us need or want such extreme medicines. Sometimes, all we need is the world renown “anti-shyness” help to help lower inhibitions, and stimulate our feelings at the same time. *These statements have not been evaluated by the Food and Drug Administration. 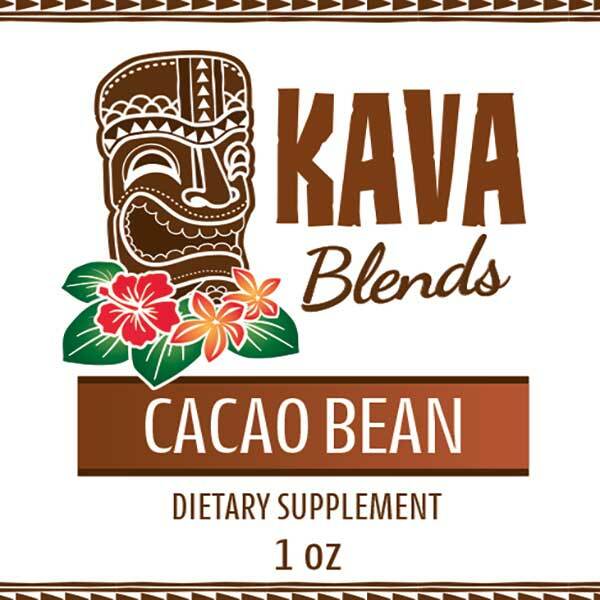 This Happy Kava Brand Cacao Bean Kava Tincture Blend is not intended to cure, treat, diagnose, or prevent any disease.